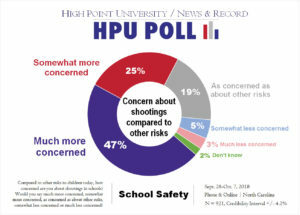 HIGH POINT, N.C., Oct. 10, 2018 – A High Point University/News and Record Poll finds that 4 out of 5 North Carolinians say fortifying schools with more barriers and security measures (79 percent) and hiring more resource officers (84 percent) will be very effective or somewhat effective in stopping school shootings. The same poll finds that a little more than half (55 percent) say that passing new laws to restrict the sales of guns will be very effective or somewhat effective in stopping school shootings. In addition, 45 percent think that arming teachers would be a very effective or somewhat effective deterrent. North Carolinians say they are receiving a good deal of information about gun violence at schools. Two-thirds (66 percent) of those polled say they have heard a lot about recent shootings at American schools. One-third (33 percent) of North Carolina residents say they have heard a little or nothing at all. The poll also finds relatively high levels of concern about school shootings compared to other risks to children. Almost three-quarters (72 percent) of North Carolinians say they are much more concerned or somewhat more concerned about shootings in schools compared to other risks to children today. Ten percent of North Carolinians are somewhat less concerned, much less concerned or offered no response. Nineteen percent of those polled are just as concerned about school shootings as about other risks to children today. More than two out of five (44 percent) North Carolinians say they have guns in their homes. 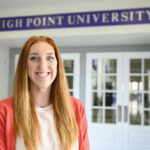 This is comparable to the findings of the HPU Poll over the past several years. About 1 in 5 of those same respondents say that they have purchased a gun in the past two years (18 percent). A similar percentage says they have conceal/carry permits for guns (21 percent). Finally, more than a quarter (30 percent) of poll participants say they’ve taken a class to learn how to shoot a gun. Now I would like to ask about something different that involves school safety. 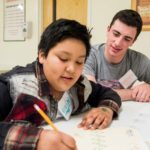 How much have you heard about recent shootings at American schools? Would you say you have heard a lot, a little bit, or not much at all? Compared to other risks to children today, how concerned are you about shootings in schools? Would you say much more concerned, somewhat more concerned, as concerned as about other risks, somewhat less concerned or much less concerned? For each of the following proposed actions, please let me know whether you think they would be very effective, somewhat effective, not very effective or not at all effective in stopping school shootings. Now I would like to ask you a few questions about guns. Do you have a gun in your home? Have you purchased a gun in the past two years? Do you have a conceal/carry permit for guns? Have you taken any classes to learn to shoot guns? 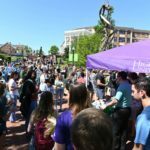 The most recent HPU Poll was fielded by live interviewers at the High Point University Survey Research Center calling on Sept. 28-Oct. 7, 2018 and an online survey fielded at the same time. The responses from a sample of all North Carolina counties came from 921 adults interviewed online (603 respondents) as well as landline or cellular telephones (318 respondents). The Survey Research Center contracted with Survey Sampling International to acquire these samples, and fielded the online survey using its Qualtrics platform. This is a combined sample of live phone interviews and online interviews. The online sampling is from a panel of respondents, so their participation does not adhere to usual assumptions associated with random selection. Therefore, it is not appropriate to assign a classical margin of sampling error for the results. In this case, the SRC provides a credibility interval of plus or minus 4.2 percentage points to account for a traditional 95 percent confidence interval for the estimates (plus or minus 3.2 percentage points) and a design effect of 1.3 (based on the weighting). The data is weighted toward population estimates for age, gender, race, and education level based on U.S. Census numbers for North Carolina. Factors such as question wording and other methodological choices in conducting survey research can introduce additional error into the findings of opinion polls. Details from this survey are available at http://www.highpoint.edu/src/files/2018/10/61memoB.pdf.